Here is a different sort of help for study of all things Paul. The charts involved put in visual form the kind of information that will will really propel our studies forward. Part of the Kregel Charts of the Bible, this is one of the finer chart volumes that I have seen. The first section covers background of the Greco-Roman influence of the times and how it affected Jewish life. 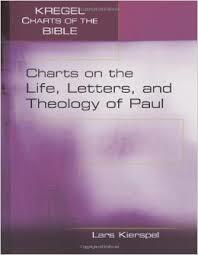 The next section gets more specific to Paul and there are charts on his life and parallels with Christ and others that are highly instructive. You will find charts on unique things like cities visited by Paul. It so helps to see information presented in ways different than you usually get it. His speeches, his miracles, his prayers–these can be developed into further studies. The section on his letters helps with OT quotations and allusions and then, as some of the most helpful charts, are those for specific letters. Finally, the last section deals with deeper theological issues. These charts are especially helpful as many have their greatest struggles in this area. This volume is a dandy and I am glad to have it at hand. Beyond folks who are Independent Baptists because they just feel it most closely aligns with the Scriptures, there are those who feel it holds an inherent superiority in and of itself. First, there are those who hold to what is known as a “Baptist Brider” position that believes that Baptists are the Bride of Christ and any other saved person is, at best, a friend of the Bride. We will sit at the table at the Marriage Supper of the Lamb while others stand at the side and watch. While Baptists have a longstanding and amazing legacy, this is without any Scriptural warrant and is ludicrous. The so-called “succession” can be no better be provided all the way back to Christ as a list than other groups who claim the same thing. While I hope the “Brider” stuff is not too widespread, there are others who have come to believe that we have grown to be something so special that now only we have the truth. The rift between us and everyone else is now so large that they are the enemy. To be in some other group is a sign of either spiritual immaturity, or worse, backsliding. Many now make prominent their separation from everything not Independent Baptist and feel this so pleases the Lord. We size people up quickly not so much on what they believe about Christ, but whether are they Independent Baptists. That is to say, the question “Are you an Independent Baptist?” tells us more about a person than the question “What do you think of Christ?” See what got switched around? 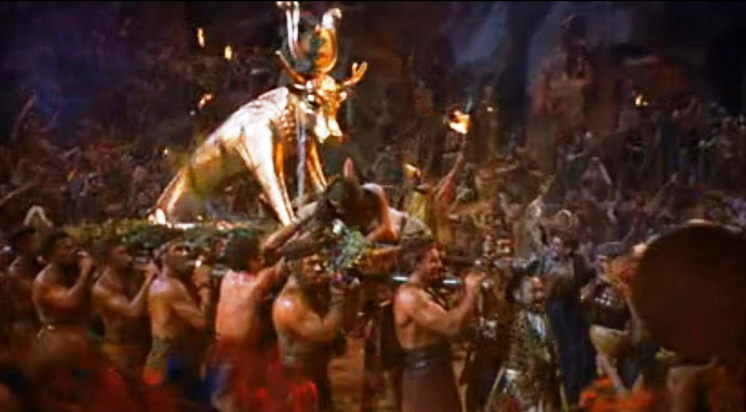 Is that not idolatry? It appears to me that standards started out as simply deciding how one ought to live before the Lord. Everyone has to seek the Lord and answer those questions on many levels, but in some circles in the Independent Baptist world it has grown into a standardized list. No longer a thoughtful look at various issues to honor Christ, it is a package deal. Some subgroups have a slightly different package, but the package must be accepted as a whole. Any major transgression of any point is to break the whole package and bring the wrath of the whole group. The package is held up as what makes us right. Some over time confuse the adherence of the package of standards as the thing that makes God love them. Some vehemently deny that conclusion, but can’t explain why so many they have trained are so confused. In this situation, we look at ourselves and ask “Am I keeping my standards?” instead of “How is my personal relationship with Christ?” Is that not idolatry? Another thing you see at times is some being obsessed with certain leaders in the Independent Baptist world. Make what you will of the leaders in those situations, I am more troubled by some who come so close to worship. Those leaders can do no wrong. Scandals must be hushed up. Slander of those against your leader is offered up without proof. This is not the same as friendship, or even appreciation. It is something much more. Then there are the associations gathered around these persons (I do not mean if you happen to have gone to a school or church of one of these leaders and love and appreciate them that you are guilty of this, or that any particular leader is guilty!) There is a problem, however, if you yield a blind allegiance to such groups no matter what. If you are not willing to say that your favorite group, which is made up of fallible people, could be wrong, you have given an exalted status that should only be given to the Infallible Christ. If, on some matter, you say someone or some group is right when Christ says they are wrong, what have you done? This is not about turning into a critic, but having everyone stay firmly in the human category they are in. You even see younger guys working every angle to get higher up the totem pole of the group. Isn’t this one the most hideous transposings of worship? And is that not idolatry? Most Christians find Leviticus rather difficult to grasp. Here is a volume aimed at Bible students and pastors that will provide real help at an economical price. Mr. Skylar has spent much of his career on this portion of Scripture and it shows. There is a fine Introduction that runs through page 84. 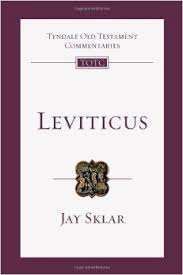 It well addresses the more vexing issues of Leviticus. Solidly conservative in its conclusions, this volume well handles the ethical questions that arise. The categories of sin that are clearly present are explained as are the ritual states of impure, pure, and holy. Great care is given where our cultural simply is not familiar with what is asked of the Israelites. There are some fine charts that give visual help and greatly increase our comprehension. Blood atonement is given its due. the illustration of a check covering the debt before it clears the bank was distinctly rewarding. Because it is so foreign to our thinking, ritual and why it can be so important is brought out. The Introduction ends where I think any one on Leviticus should–Jesus! In the commentary proper every passage is given sufficient, interesting, and helpful discussion. You could not help but gain by this fine volume. The Tyndale Commentary series now under revision finds another worthy volume here. I highly recommend it. For other Commentary Reviews, click here. He’s still got it. 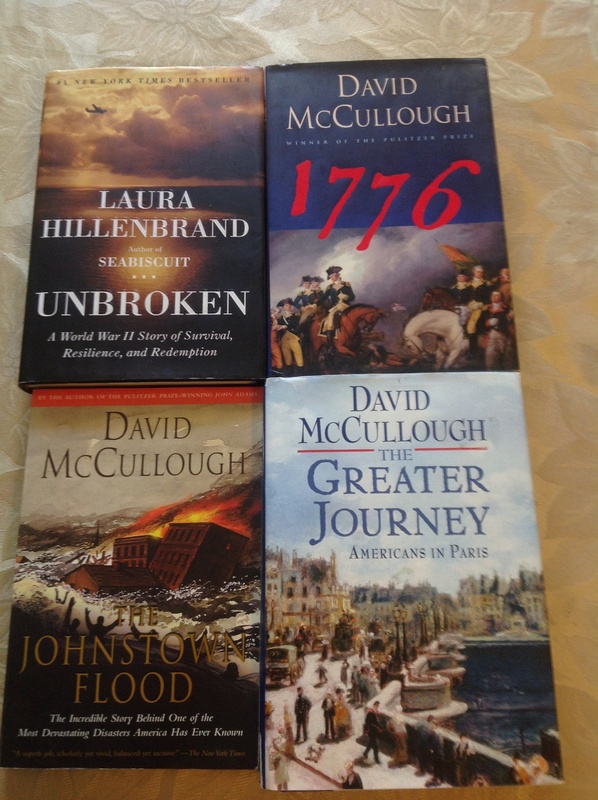 David McCullough, a favorite for many of us, weaves another powerful tale. I’ll confess in my looking forward to his next book that I was disappointed when I saw the press clippings for it some months ago. I wanted another John Adams or 1776. I don’t feel that way after actually reading the book. In the hands of this master writer, we learn both how important and interesting were Wilbur and Orville and how revolutionary flying was when they brought it about. I don’t believe anything in my lifetime has equaled taking to the skies in the early 1900s. Wilbur and Orville were unique. Never showing any interest in getting married, never afraid to go their own way no matter what anyone else thought, and never deviating from the raising of their preacher father, they do not fit the common mold. Dismiss out of hand any comments that the characterizations here are one-dimensional. 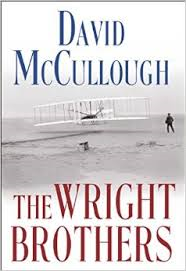 The Wright brothers simply do not fit the modern mold especially. Mr. McCullough obviously felt no need to manufacture some speculations that tantalize our generation. He just gave us the Wright brothers as they were. I enjoyed getting to know them and have nothing but respect for them. The saw the prize out ahead of them and never rested till they had it. The setbacks, the hardships (Kitty Hawk was not pleasant then), the secrecy when fame was dangling in front of them, the danger, the crashes, the occasional family drama but unwavering devotion–the story never sags. The competition with others trying to get the title of first to truly fly was always part or the story. The initial reluctance of the U.S. to show interest while France was ready to embrace them is interestingly portrayed. You admired the brilliance of these amateur mechanics as you read and are amazed at the mathematical and scientific ground they covered in their relentless research. This volume can proudly take its place on the hollowed bookshelf of Mr. McCullough’s writings. Another piece of our history is now preserved with distinction. A fortuitous development in Christian publishing has happened with Carta-Jerusalem now distributing its titles in the USA through Hendrickson Publishers. I have long felt that Carta was the premier Bible Atlas makers in the world. The only problem is that being based in Israel they were not as well known in the USA as they deserved to be. Only a couple of their atlases were widely known. They publish the pastors first choice for an atlas with their Carta Bible Atlas. They also have the most comprehensive Bible Atlas available in The Sacred Bridge. While it is a scholar’s delight, pastors will find it an incredible resource. The pictures and scholarly information well supplement the incredible maps. Anton Rainey and R. Steven Notley are top-flight scholars perfect for such an endeavor while the maps are classic Carta, only this time in full color. An ambitious undertaking that delivers what it advertises. I don’t agree with every point made, but I love this atlas. Look for In The Master’s Steps: The Gospel In The Land by R. Stephen Notley that condenses some material in the preceding volume for a wider audience. The Carta Jerusalem Atlas by Dan Bahat is most helpful volume I know of on that subject. They have many volumes to help in geographic or historical background, as well as help for Holy Land travelers. The Holy Land: A Pilgrim’s Guide to Israel, Jordan, and the Sinai by G.S.P. Freeman-Grenville is thrilling. Though some of the road information is out of date, this is an experience. The armchair traveler will not be disappointed, nor will the modern pilgrim. You will have to do your homework for sites in the West Bank, but this book makes you thirst to go. The River Jordan: An Illustrated Guide From Bible Days to the Present is great for specific site information. The pictures and maps are choice. Though it extends to sites a long way from Jordan, it is good enough to make you wish it covered every site. Any map by Carta will greatly aid you in travel. These maps were a blessing to me when I went on a solo trip there in 2010. There are other Carta titles I look forward to perusing in the future. Hendrickson Publishers are a good partner for Carta as they are well known in the Christian world. They have supplied us with classic titles for years that we are so glad to see in print. Check them out at here and click on the Carta catalog. A battle rages on today that will last until Jesus comes–the battle between traditional church and something newer or contemporary. I fall in a more conservative line than many, yet do not get as worked up about some of the newer stuff as some do. In the Independent Baptist world the battle is even more intense than in other circles. There is not, to my mind, some simple answer that is beyond dispute. In either case the argument will go better if there is no one in the room from the other side. Still, there is an unusual phenomenon in these days. Some advertise themselves as being one of the few that still do “old fashioned church”. Again, if someone says they are traditional or conservative, those terms at least make sense. We have some idea what that means and it seems at least fair advertising. While there is not one uniform model of the churches that call themselves old-fashioned, some of them carry a few similar traits. We should, too, specify that calling ourselves old fashioned when we feel the whole world is running ahead of us is a fair and common usage of the word. To use it, though, as many do now should have a more accurate time element to it–it should be at least a little ancient. The funny thing is how did those specific things become the standard bearer of being old fashioned? Right or wrong, how far back can you really trace them? If you carried one of these old fashioned services back just 100 years, how do you think it would have been perceived? Or how about going on back to the frontier in colonial days? Do you think you would have been thought some sort of modern usurper of the godly way of doing church? I think you likely would have. I think we have no evidence that our “old fashioned ways” look anything like what a service led by the Apostle Paul would have. A lively, yet very conservative, piano piece would not have been accepted in the not-so-recent past. I have read of the scandal the first organ playing brought to church services in the Middle Ages. It is a fair discussion to try to figure out what is appropriate for our churches, or more importantly, what would please Christ. Whether we all arrive at the same answer, we should all seek the Lord till we think we are where He would want us to be. On the other hand, I don’t see how we are going to make much progress on the discussion between ourselves until we learn to choose our words more carefully. I am not sure “old fashioned” as often used is very accurate. In The Steps Of The Master–A Great Resource! Are you fascinated by the times of the Gospels? I always have been and love any help I can get to understanding the time and places involved in Christ’s earthly ministry. Here is a tool I want to recommend to every Bible student. This volume brings out its title of “In The Master’s Steps: The Gospels In The Land” in a helpful way. This is partially taken from the larger, comprehensive work entitled “The Sacred Bridge”, which as a pastor I find a fascinating work. Carta, in my judgment, is the premier atlas maker of our day. Though this is aimed to a wider audience, it is in no way a piece of fluff. You can gain great knowledge in this volume. The text relays much information (I disagree on a few points). The pictures are attractive and helpful. The maps, though, are simply incredible. Make sure you notice a few of my favorites: the 3-D map of the Sea of Galilee with all the respective events involving Christ (pg. 33), the maps of Jericho (pg. 57), and numerous physical maps of the land. Since this volume is an attempt to reach out to a wider audience than Carta’s usual audience of scholars and pastors, I decided to put it to the test. I asked my 15-year-old son to go to my office alone and spend time in this book and tell me what he thought. After he spent a good bit of time perusing it, he let me know he loved it and found it so interesting. That is, to my mind, the ultimate passing of the test of what this volume set out to do. I think you will love it too. 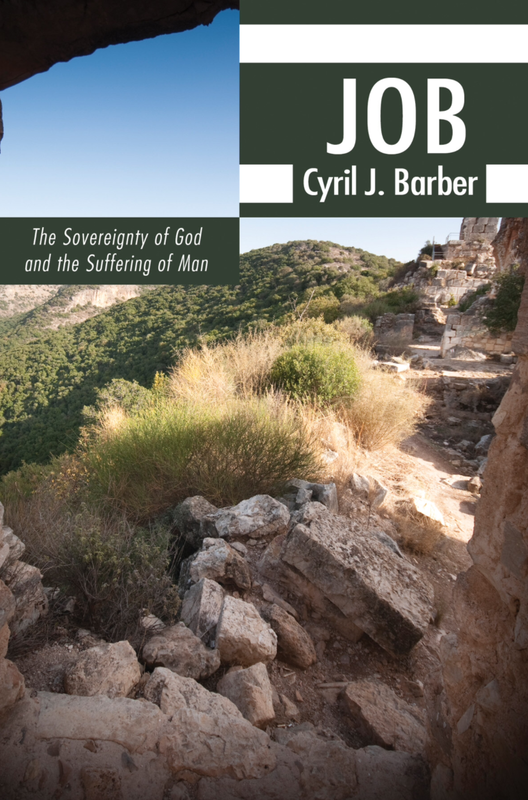 Cyril Barber gives us a fine volume on Job aimed at laypeople, but quite pleasing to pastors. I will never understand why volumes by this fine writer aren’t more well known. He shows such an outstanding, broad reading behind what he writes. He gives great insight into Job, his times, his family situation, his wife, and his physical ailments. Discussion of Satan at work is equally enlightening. The discussion of the three friends and the psychological impact on Job is explained in a way that opens up the text. Along the way there is helpful discussion on the theology of suffering, which is one of the keys of the book. He gives Elihu’s comments good perspective too at the end. The length is ideal for what this volume purports to be. While this will can not take the place of an exegetical commentary, read this volume after studying such commentaries and you will be greatly enriched. This volume may not be as good or as in-depth as his volumes on First and Second Kings, but it is still quite helpful. I recommend it and all the Cyril Barber volumes published by Wipf & Stock. I Can’t Believe I’m 45! I really can’t. That is only old in comparison to your own age–some seniors might think I am still a kid. Other young ones might think it is pretty much over for me. In my mind I don’t feel old, but the other day at a thrift store the cashier asked me if I wanted the senior discount. I tried to console myself that she was either senile or blind. When I thought about how she was holding down a job and didn’t wear glasses I decided to think of something else. While visiting my parents last week, I looked at a lot of pictures. To look at them and then walk by a mirror was a jolt. Then for a Facebook birthday card my daughter Briley did a 4-picture collage with current pictures of me and one where I was holding her as a baby. All I can say is I am glad that I am preacher and my hobbies are reading and blogging and such things. Can you imagine my diminishing prospects if I were a movie star? Besides feeling a little sorry for my wife Alicia, I think, though, that I won’t lose too much sleep over this part of being 45. I used to play a game. When I was 20, I would say to myself that I was half way to 40. Now…I don’t want to play that game anymore. On a more serious note, I have had four relatives die when they were 45. My mother, Patricia Reagan, is the oldest of 5 children and she lost her brother when he was 45, then a few years later, her sister died at 45. It is hard for me to believe I am now the age that they were. Then there was a cousin and his wife on my Dad’s side who died at 45. I have been reminding myself that I am a Christian and I am not superstitious. But there is value in the thoughts that accompany accumulating birthdays. I actually enjoyed reading every birthday wish on Facebook, and the day being about me–two great bookstores as we drove back from Tennessee. More than that, I am thankful to have lived this long, to have been a husband, father, and pastor, and to know the growing joys of being God’s child. I have watched my children all get saved and even had the distinct pleasure of baptizing each of them. 45 even has value over 1-44. You might say that I better watch out for a mid-life crisis, but I really believe my beloved Alicia’s paralysis already provided that for me. I felt like a deck of cards in a card sharks hands getting shuffled all around. That is how it felt, but of course, I was always in the loving hands of my Heavenly Father who loved me too much not to do surgery on many ugly things in my heart. I imagine there is more that needs done, but I don’t want to think of that today either. Age brings some wisdom. Warped thinking gets exposed when the years stretch a little for perspective. I don’t think the same about myself or my life as I once did. Before I was more infected with the common but misplaced thinking that life was a quest to be great; that success was reaching pinnacles, being noticed, shining a little more than those around me, or gathering at least some measure of fame. I have had the tiniest little experience with it. My blog, so inconsequential in the grand scheme of things, made me more well known than before. I have had plenty of strangers write me or come up to meet me. While I might enjoy it, the little bit of popularity has not made me a better person. I love to help others, and that is worthwhile, but the enlarged presence does nothing for your soul. Then, there is my wife whose disability, and our tagging along in her adventures, really puts us out there. Finally, my children (I love them so much) are gifted musically. People love to hear them and so do I. [I pray I can teach them that having musical talent does not make them one iota better than others who hit a sour note every time they try]. Isn’t it funny that two of the things I mentioned aren’t really about me? The first one that is me would not be so had not one of the main series on my blog been controversial in some circles. Such is fame–fickle, fleeting, and faulty. Does any of that bother me? Not at all! I have learned what Psalm 75:6 means: “For promotion cometh neither from the east, nor from the west, nor from the south.” That is to say that God chooses. Why is God not unfair when He promotes one and not another? Because it is not the point of life. It makes no difference. It is not a reward for the value of your life’s work. It is put together by a plan that is for God’s designs. Your privilege is to get to be involved in His purposes, whatever they may be. I pity those who strain and manipulate to rustle fame. Even if you get it, that is but to get to the end of the rainbow and find a leprechaun snickering at you who turns out to be Lucifer himself. The real success in life is in what God has put right in front of you. The best work cannot be quantified and rewarded. To invest in our children or those we minister to will bring no accolades today, but carry real value. I accomplish more if I go the extra mile in sermon preparation till I really discover what God is saying and lay aside the clever things I am thinking. The audience will never know, but my Lord will. There are plenty of other examples, but I believe you can finish this paragraph as well as I can. So for all the talk out there about doing something big in the ministry, I am no longer interested. That can too quickly disintegrate into making a name for myself using God’s name in a Madison Avenue-type approach. My goal for how ever many years I get past 45 is to be big in His plans. Big or small, it is about Him. That fills all the self-worth needs I could ever have as I fully believe that life is only about that day my time is over here and I finally look upon His face. So I really am not worried about being 45. Whether I see 105, or never see 46, I have today to be a willing participant in the eternal saga of His Kindgom. Far from being just satisfied with that thought, I say what could possibly be better?